Dr. Barbara Smith is a physical therapist with experience in acute care and ICU clinical practice, and she teaches in the Physiology and Exercise Science track of the entry-level Doctor of Physical Therapy program. Dr. Smith completed her PhD in Rehabilitation Science as a T32 Scholar at University of Florida. Her research interests are the control of breathing in conditions of health and disease, and harnessing rehabilitation and regenerative therapies to restore ventilation in cases of injury or neuromuscular disease. Current research projects include: (1) mechanisms of inspiratory load compensation in neuromuscular disease, (2) use of imaging and other non-volitional evaluations of cardiopulmonary function in neuromuscular disease, and (3) effect of regenerative technologies (e.g. gene therapy, diaphragm pacing) on quality of life and ventilation recovery. Dr. Smith is active in the American Physical Therapy Association (APTA). 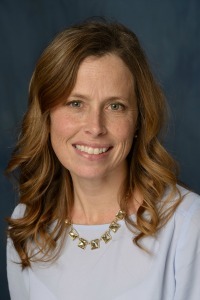 She serves on the Regenerative Rehabilitation Committee of APTA’s Frontiers in Rehabilitation Science & Technology (FiRST) Initiative, chairs the Research Committee of APTA’s Academy of Acute Care Physical Therapy, and serves as an editorial board member of the journal Physical Therapy.